A single launch pumps a relatively small amount of emissions into the atmosphere, but SpaceX CEO Elon Musk has suggested sending a million people to Mars. 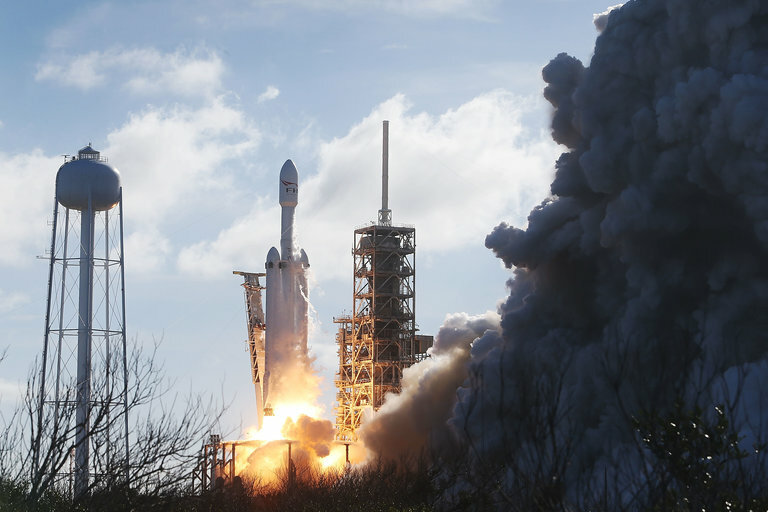 T	T	he first SpaceX Falcon Heavy rocket soared towards Mars orbit last week. The cargo-lifting rocket was on a test flight that met most of its major objectives. The star of the show was a cherry red Tesla Roadster that the rocket hefted into space, complete with a space-suited mannequin in the driver's seat. SpaceX founder Elon Musk is also the founder of Tesla, and he thought a car would be more interesting than some sort of simulated spacecraft. But the Falcon Heavy will become commercially available in the meanwhile, with missions on the horizon that include launching a communications satellite into orbit for Saudi Arabia. SpaceX is ambitiously aiming to set up a schedule of routine launches every few weeks. What impact might all of these rockets have on Earth’s atmosphere, especially in an era of rapidly accelerating climate change and continued concerns about the ozone layer?